North Carolina-based Farm Fresh Produce is anticipating strong growth in its exports of sweet potatoes to Europe and the Middle East and is actively exploring new product lines. As well as exporting to 20 European countries from its Rotterdam facility, Farm Fresh has made significant inroads in the Middle East region over the past 12 months, moving into the UAE, Saudi Arabia, Oman and Qatar. “We don’t just sell in Europe, we also export to the Middle East, so it’s been a really important year for Farm Fresh Produce,” said the company’s European sales manager, Carla Belandria Espinosa. 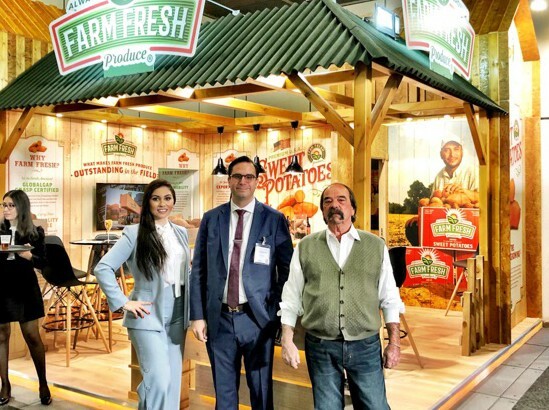 Although Farm Fresh currently focuses on a sole product for export – sweet potato – Belandria said the company was actively exploring other fruit and vegetable export opportunities, with the aim of further expanding exports to Europe and the Middle East. The company said it plans to increase its presence at this year’s Fruit Attraction, which features a special emphasis on the Middle East and Canada.